In response to requests from children and young people, parents, schools, local authority, mental health professionals and national organisations to support children of this age are setting up SPACE to Be. 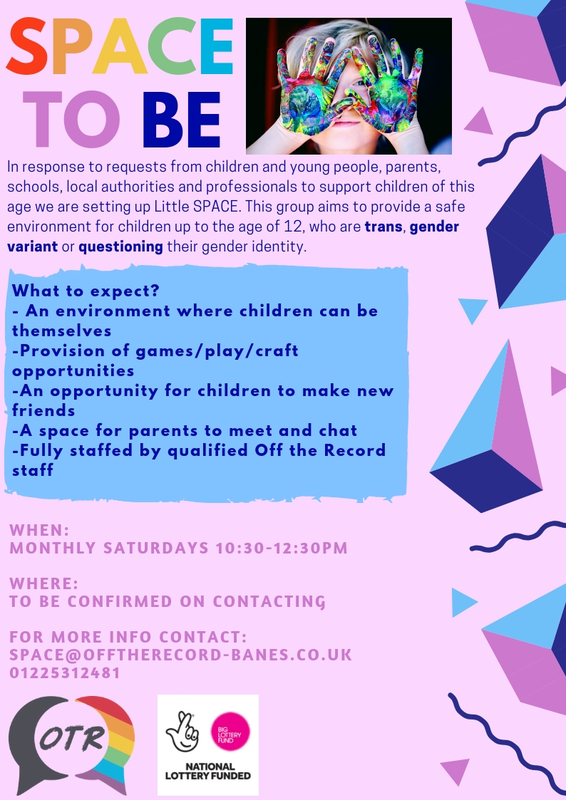 This group aims to provide a safe environment for children up to the age of 12, who are trans, gender variant or questioning their gender identity. Location to be confirmed on booking.